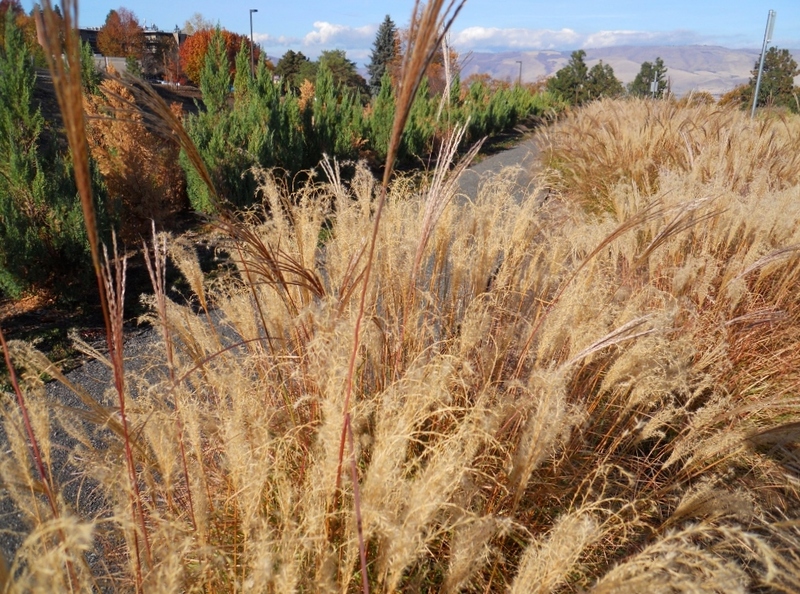 Ornamental grasses strike me as elegant and graceful: swaying mildly in breezes, never clunky; softening hard edges through gentle curves of stem and plume. Taken at The Dalles Readiness Center. Almost like they have their own little dance or tiny faeries climbing and swayin’ about on a day. Thanks for commenting…it’s just lovely there!